years later, Ry Cooder gave him his first guitar, a vintage National Steel. In his teens Red Hot Chili Pepper s John Frusciante took him on as his only student and a few years later, he released his first album One by One at nineteen. His second album Before Nightfall, included the song, Junebug which became a commercial success in Europe. Strangers in the First Place, his new release and first for Vanguard Records, represents a breathtaking artistic leap for the singer, songwriter and multi-instrumentalist. ¶ Strangers in the First Place, his Vanguard Records debut, and his firs studio offering since 2009′s criminally overlooked Before Nightfall.The disc opens placidly with “Tunnels,”a slow-moving affair that lifts gradually over the course of three minutes. It is a decidedly amiable opener and a nice starting off point. But the best is still yet to come.Lead single “Some Things Never Change,” is another tranquil and gradual affair. ¶ Opening with acoustic guitars and the words, “You and I, as time began, in the moves, in the howling wind, bitter line, bitter end, my enemy, my only friend,” it unravels what is most assuredly a breakup ballad. Truth be told, there isn’t much about it that is entirely inventive or original, but hot damn, if it doesn’t knock the cover off the ball. Potent, passionate and deeply panged, it is everything a breakup ballad should be. This sentiment is revisited on the guttural hymn “Star-Crossed Memories,” in which a deeply tortured Francis lays it all on the table, before diving into a searing guitar solo. 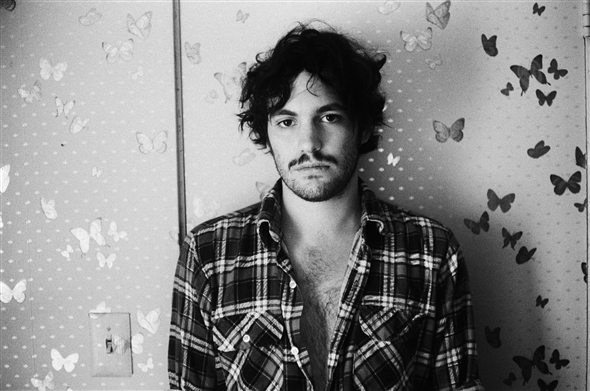 ¶ Singer, songwriter and multi-instrumentalist Robert Francis will be releasing his label debut Strangers in the First Place on May 22nd. The 12 tracks on Strangers in the First Place embrace the emotional richness of his gravel tinged baritone and depth in his songwriting, which critics and fans have long praised. ¶ Francis has just embarked on a cross-country tour supporting Mat Kearney, which will include stops in Atlanta, Dallas, Denver, San Francisco and Los Angeles (see tour dates below). Following this tour, he will perform multiple shows at this year’s South By Southwest festival in Austin. Exact dates/venues to be announced shortly. ¶ Raised in Los Angeles, Francis’ musical prowess stems from his upbringing – His father a producer and pianist, his mother a singer, who would often perform Ranchera songs from her native Mexico with her two songstress sisters. At the young age of nine, the legendary Ry Cooder gifted Francis with his first guitar and years later, the Red Hot Chili Peppers’ John Frusciante took him on as his only student. 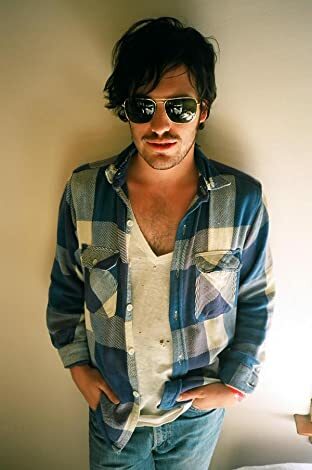 ¶ Francis first gained national attention with his release One By One, which set him apart as one of the young artists to watch as a great American songwriter of his generation. ¶ It’s a hell of a mistake to try to pigeonhole Robert Francis into an easy classification. The man works a lifetime of influences into his beautiful Laurel Canyonesque brand of alternately sepia-toned and polychromatic singer-songwriter rock. His songs are never indistinguishable, the versatility of genres always suits the song at hand, and his sound is always equally fitting for after-midnight bonfires and cross-country treks. His new album, Strangers in the First Place, finds Francis excavating the caverns of his soul in order to craft a resplendent love letter to his Los Angeles home and the life he has come to know. The end result are twelve masterful songs that add up to one of the most flawless records in recent memory by one of the best young songwriters and voices in music today. 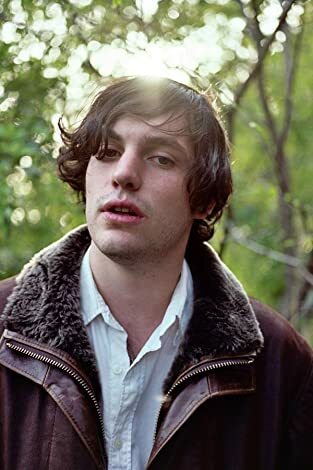 ¶ I bet on an educated guess Robert Francis could be right up my wheelhouse when I bought his second album, Before Nightfall, on a whim in late 2009 without having heard a song. Almost instantly, I was calling it my new Heartbreaker (referencing the Ryan Adams masterpiece from 2000 that had been as essential as oxygen to me for a full decade). I was obsessed with the album – its foundation, influences, heart and storytelling. I found a kindred spirit and a hell of a musician, and my obsession amplified months later when I witnessed Francis and his band put on arguably my favorite live set of the year (out of the hundred or so I saw) in 2010 while I was living in “The Live Music Capital of the World,” Austin, TX. Within a few short weeks, my obsession with Strangers in the First Place has already bested my enthusiasm for Before Nightfall. ¶ Strangers in the First Place is Francis’s third album and his first on Vanguard Records. 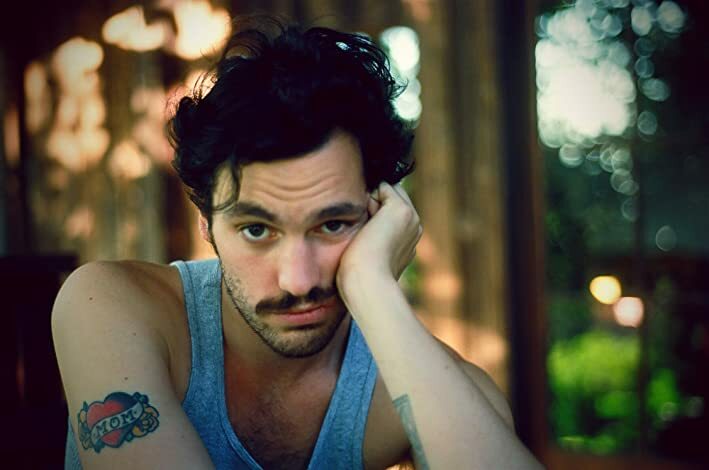 If you’re a Robert Francis novice, picture a more rustic Jeff Buckley, who just so happened to be the first guitar student of John Frusciante and the protégé of Ry Cooder, as he conjures songs of love and love lost that paint every shade of California. Picture him scrawling lyrics upon backs of postcards documenting landscapes up and down the 405 and 101, marrying the lyricism of Jackson Browne with Dylan, and then singing with a powerhouse voice that can floor you like a late-70’s-Springsteen chorus. ¶ Going into Strangers in the First Place, Francis set out to “capture the feeling of expansiveness that lies at the heart of Los Angeles,” his beloved hometown. 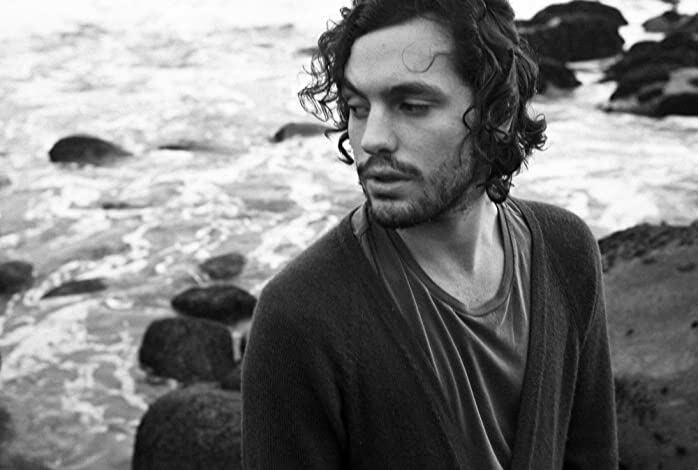 For the first time in his career, Francis started the writing process with the lyrics. He wrote lyrics with the poetry of W.H. Auden, Stanley Kunitz and Conrad Aiken as inspiration and waited “for melodies that would rhythmically fit with them.” He then came up with the melodies for the album while taking road trips up the California coast in silence and with his dog as a companion. Francis let the sounds that flooded his head on those jaunts become the sonic landscape to color the stories and poetry he had put on paper, and it shows. No ounce of emotional depth or imagery was lost in the translation. ¶ Francis, his band (Richard Gowen on drums, Rob Douglas on bass, Benji Lysaght on guitarist and Ben Ogintz on keys) and a collective of some of the most accomplished session players in music today (guitar legend Ry Cooder, Ry’s son (and Francis’s brother-in-law), Joachim Cooder, on drums and percussion,Tom Petty & The Heartbreakers guitarist Mike Campbell, former Simon Dawes guitarist and guitarist for everyone from Band of Horses to Jenny Lewis to Julian Casablancas, Blake Mills, and Juliette and Carla Commagere as backing vocalists), recorded Strangers in the First Place by playing the songs live in a circle amid the invigorating backdrop of Malibu. ¶ The bountiful riches of Strangers in the First Place come tenfold to those willing to make a personal investment in the album’s endless string of stirring Angelino poems and transcendent compositions. The first half-minute of the album’s opener “Tunnels” eases you out of the bustle of the career blitz and the social media frenzy of everyday life. By the time Francis’s opening verse gives way to the breathtaking interplay of keys, drums, sublime guitar solo and Francis’s dazzling range, you’ll be swept away to shimmering locales profiting from glorious changes of light, rolling tires and deep emotional truths. ¶ More often than not, Francis’s words and arresting voice are what you’ll latch onto during initial listens. Both evoke a man and singer in total confidence of his craft and willing to plunge into vulnerability to stumble upon affirming realizations, but the true glory of Strangers in the First Place comes when you can hear the individual contributions of Francis and his peerless cohorts in sublime concordance with each other. The effect of hearing this can flood your brain with places, lovers and aspirations of a life lived, longed for and called back to mind. Francis and his band achieve this blessed effect all over Strangers in the First Place: from the timeless Blonde on Blonde writing and playing of “Alibi” to the ruminative poetry of “Star-Crossed Memories,” which rests on an expertly placed banjo, towers with Francis’s alternately weary and bombastic voice, shines with an enchanting coalescence of horns, guitar and drums, and then builds to the heart-stopping climax that showcases Francis’s untouchable range. ¶ The addition of the female backing vocals of Juliette and Carla Commagere enriches Francis’s sound, in particular in the midsection of the album. First single “Heroin Lovers,” which could pass for a vintage Fleetwood Mac, and “Eighteen,” which calls to mind the emotional pop that Stars has done with greater expertise than nearly everyone over the past decade, would not exist without the vocal interplay of Francis’s ladies. Both songs are gems with big hooks that emphasize how careless of a blunder it would be to casually toss off the term Americana in hopes of describing Francis’s sound. ¶ Francis has said, “I was never indie enough for the indie rockers and never mainstream enough for the mainstreamers. At one point when I wrapped my head around this, I understood I had something unique to offer.” On every moment of Strangers in the First Place’s running time, Robert Francis maps a road journey with a soul-searching GPS that you’ll yearn to take again and again.